This was a great EVent for EV enthusiasts in the greater Houston TX area. 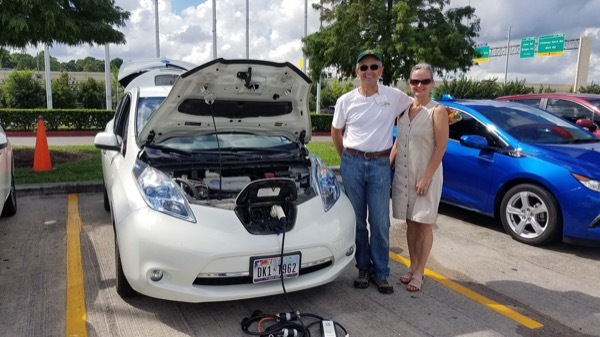 Several organizations participated: Houston Electric Auto Association, Houston Tesla Owners Group, Sierra Club, Representatives from: Nissan, Houston-Galveston Area Council, CenterPoint, IKEA. This IKEA store has always been great in supporting this EVent. Particularly Kae Bruney. This EVent serves two purposes. It gives a venue for all EV aficionados in the greater Houston TX area to get together and express their excitement and personal EV stories among themselves and others that come to the EVent. Get people that are interested in EV's to see them, touch them, sit in them, ride in them, and drive in them so that they can get the information that each and everyone of them needs to purchase an EV. Plug-In Vehicle enthusiasts get together and car show. Drive and ride and learn about these vehicles. Registered attendees report 571,664 electric miles driven.